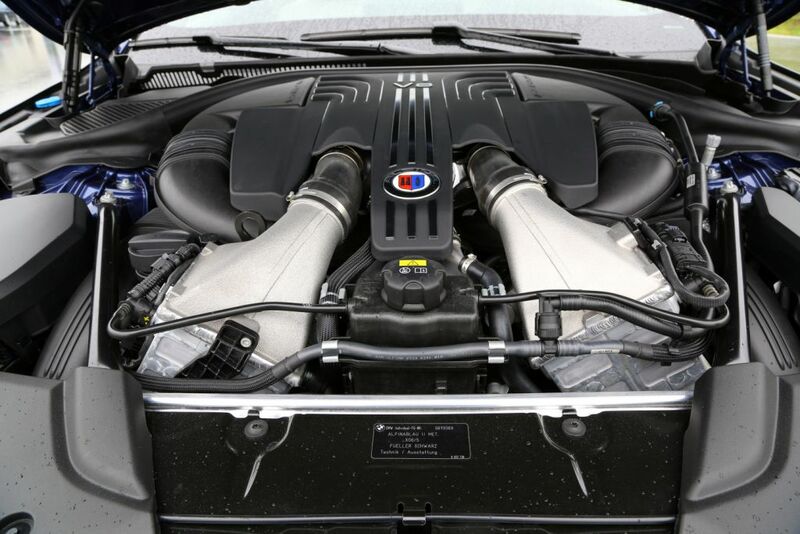 The heart of the new range is ALPINA’s substantially revised version of BMW’s N63TU2, 4.4 litre V8. To increase the power and torque without compromising responsiveness, particular attention has been paid to airflow optimisation, with a new wide-bore intake system providing shorter intake paths and optimised radii to allow near-instant throttle response. 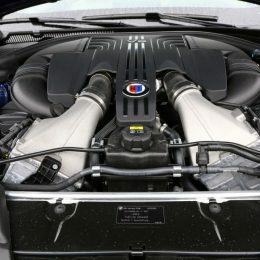 The standard turbochargers have been replaced by two specially-developed, twin-scroll turbochargers located between the cylinder banks, operating in parallel to deliver up to 1.4 bar with minimum inertia. Enlarged inlet and outlet diameters further improve gas flow, contributing to a wide, flat torque curve and excellent throttle response even at low engine speeds. 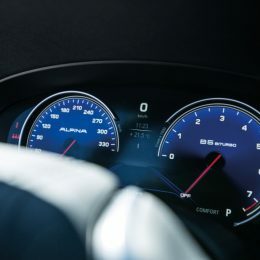 By 2,000 rpm, the ALPINA V8 is already generating 670 Nm (494 lbft) of torque, swelling to an astonishing 800 Nm (590 lbft) plateau from 3,000 – 5,000 rpm. The same philosophy has been applied to the braking system. The rear brakes are larger than the front’s because they receive less cooling air, so need a larger surface area to shed heat. The increased surface area also allows them to share more of the braking load. 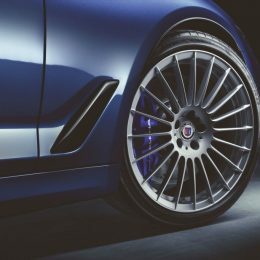 ALPINA says their system provides greater retardation and resistance to fade than many equivalent ceramic systems, with excellent consistency and feel across a wider range of temperatures. 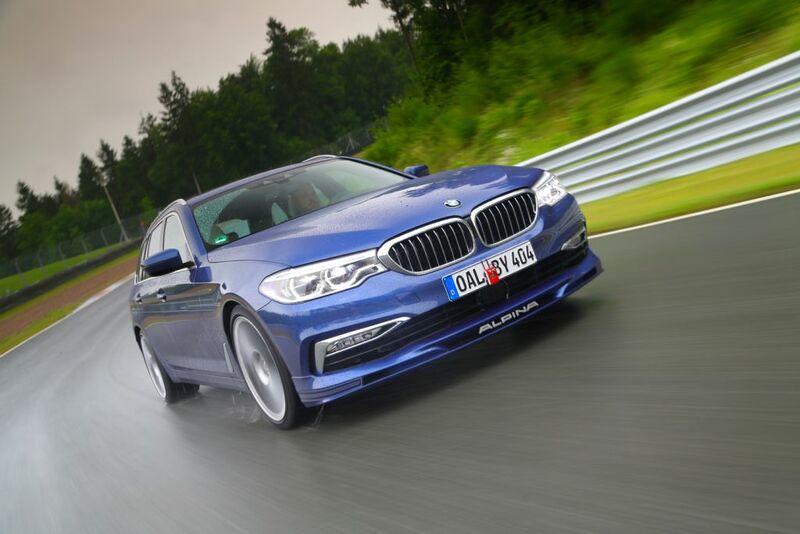 Power is delivered to the road by BMW’s four wheel drive system; a first for the ALPINA B5, thought necessary to safely handle the prodigious torque in the greatest variety of conditions. 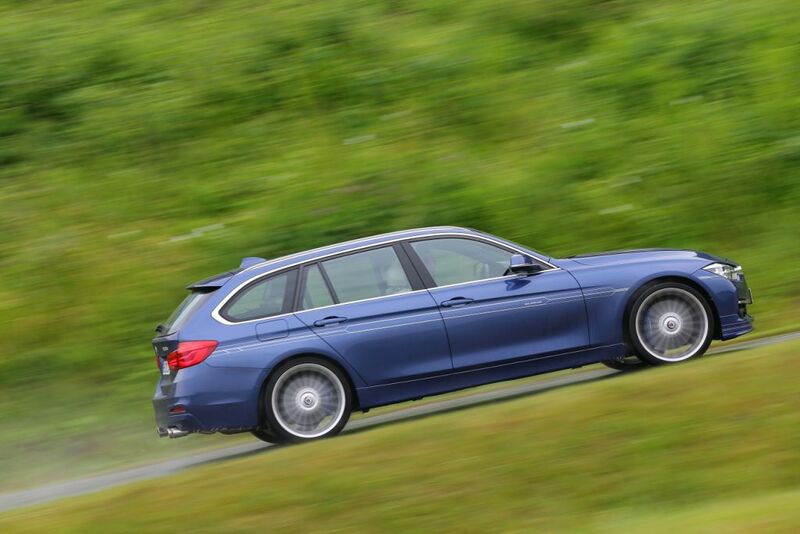 To ensure a traditional sporting feel, up to 90 percent of the torque can be sent to the rear wheels. 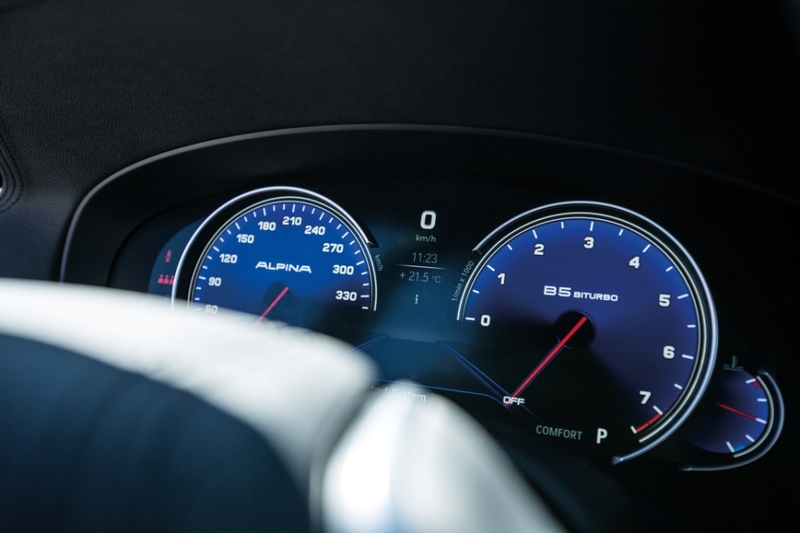 The system continuously monitors a wide range of inputs, including steering angle, lateral acceleration, yaw angle and speed, allowing the ALPINA-optimised software to distribute torque for maximum grip and safety. For even greater control and stability in difficult conditions, a mechanical limited slip differential, fully integrated with the traction control system, is available as an option. With immense attention to detail, ALPINA engineers have also created bespoke front wishbones with one degree of negative camber to improve turn-in and steering feel, complemented by new ALPINA control software for the electric steering. Shorter, stiffer springs sharpen body control while also lowering the centre of gravity and enhancing aerodynamics. 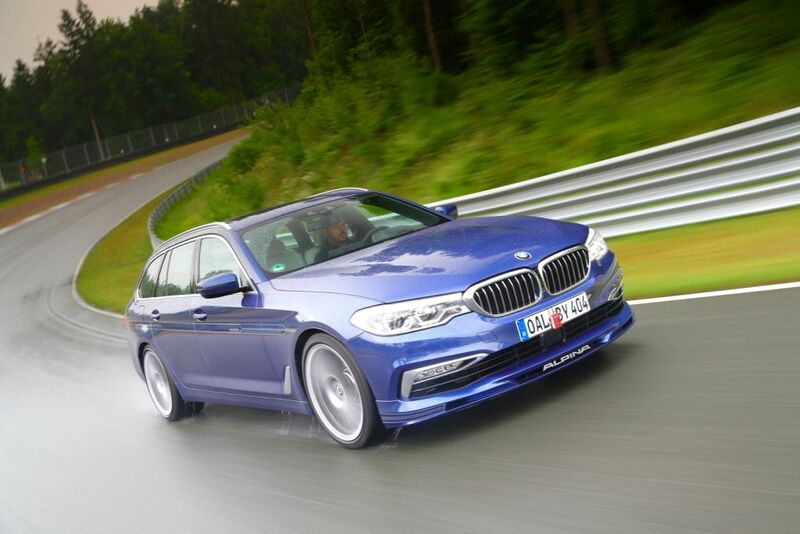 Bespoke adaptive dampers offer drivers a choice of settings including a new Comfort Plus mode developed by ALPINA to provide very high levels of ride comfort. 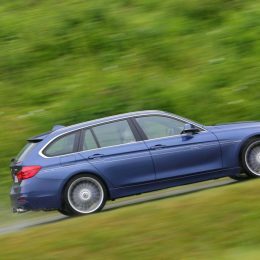 Touring models replace the rear coil spring with ALPINA-optimised air suspension to ensure a consistent ride height. 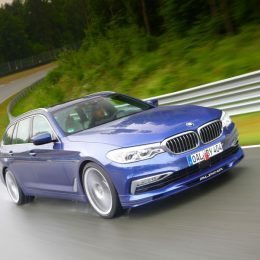 Aerodynamics have been optimised in BMW’s wind tunnel and are enhanced by unique ALPINA front and rear spoilers that substantially increase airflow through the uprated cooling system. The bespoke look is further enhanced by a four-outlet, light weight stainless steel sports exhaust system that has been tuned to reduce back pressure as well as providing a choice of two driver-selectable, bass-focussed sounds. 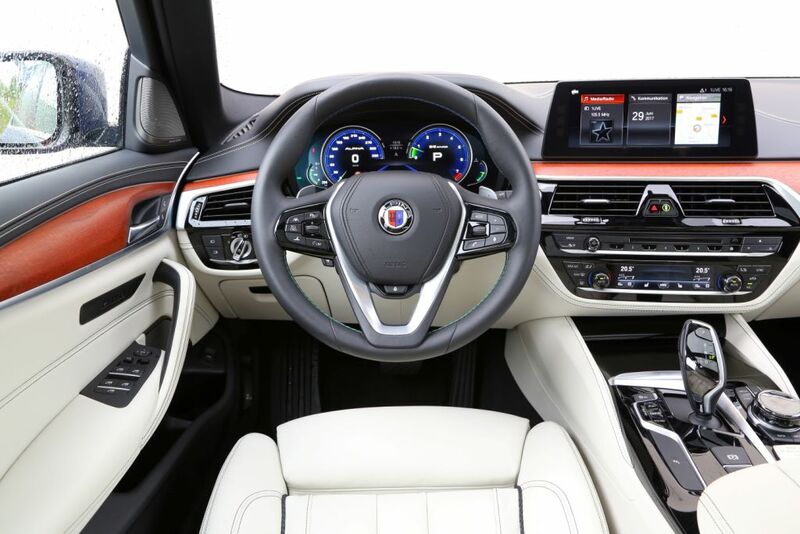 Inside, the new B5 Bi-Turbo can be specified with an almost limitless range of options and leather trims, individually-crafted in ALPINA’s saddlery. 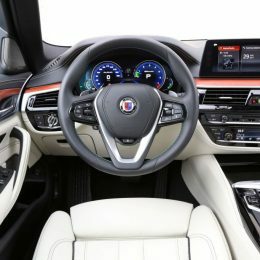 Standard equipment on UK-market cars includes soft Nappa leather, ceramic-finish control surfaces, ALPINA roundels on the seat backs and a rear view camera. 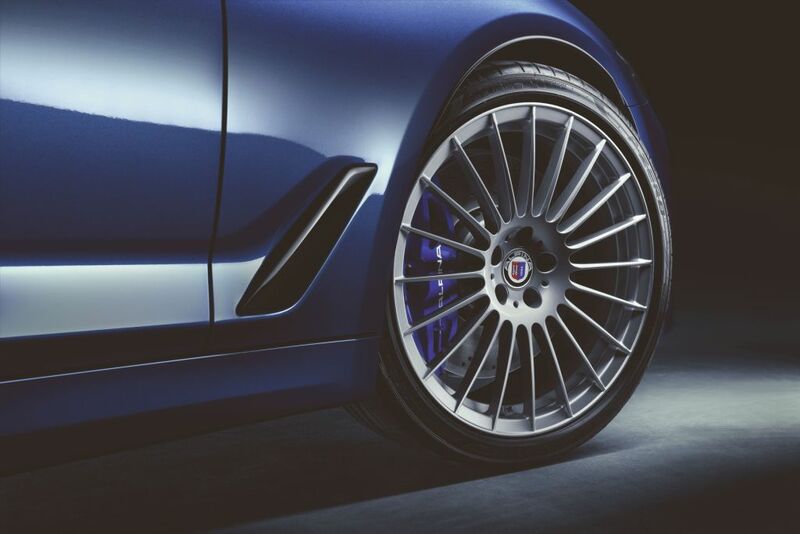 Door sills are accented by ALPINA Blue illumination of the B5 model inscriptions coordinating with interior ALPINA Blue mood lighting and instruments. The sports steering wheel is hand-finished in Lavalina leather with blue and green signature stitching to provide a luxurious feel while retaining the firm rim preferred by skilled drivers. 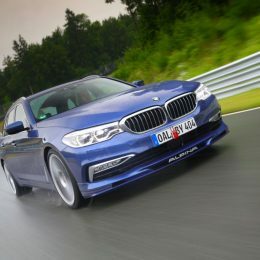 Unique ALPINA finishes include paint in ALPINA Blue or ALPINA Green, complementing the full range of BMW and BMW Individual finishes, all of which can be specified with ALPINA’s iconic Deco-Set along the sides and on the front spoiler. Unique ALPINA interior finishes include new Luxury Wood Walnut Nature, the rough cut surface of which is described by the manufacturer as ‘warm and modern at the same time’. The interior of each car is finished with a unique, numbered production plaque on the centre console.